Mayo Clinic has built out its electronic health record to flag repetitive laboratory tests, which has helped the not-for-profit health system lower costs and improve care. The clinic's EHR aggregates how often certain tests are ordered, cost data and guidance on how to reduce redundancy, among other metrics. It has been an important tool as hospitals and health systems look to get more bang for their buck, said Dr. Curtis Hanson, chief medical officer at Mayo Medical Laboratories. "Excess lab tests are a problem everywhere, whether it's here at Mayo or at other systems across the country—it's a common recurring theme," he said. Providers have taken a closer look at their lab testing patterns to pinpoint how treatment can vary and affect outcomes. In a fee-for-service world, providers may be reimbursed for each order, leaving little incentive to reduce the number of tests, Hanson said. Health systems paid little attention to the type of test or how it fit within the treatment plan, especially since most tests were relatively inexpensive and flew under the radar. But those costs are rising; certain tests can cost thousands of dollars each, new payment models reward more efficient care, and patients are more vigilant as they shoulder more of their increasingly pricey bill, creating more scrutiny on unnecessary and repetitive tests. Although lab spending often makes up less than 5% of hospital budgets, tests influence most medical decisions, research shows. Inappropriate tests can steer treatment in the wrong direction. Reducing the frequency of tests can improve patient satisfaction and reduce cost without harming patient outcomes, according to a recent study published in JAMA. 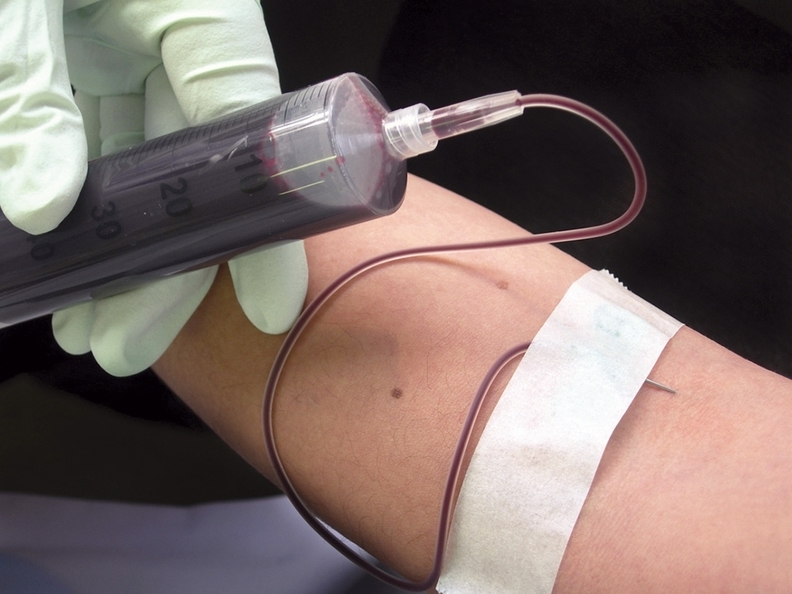 Phlebotomies in particular, which are incisions made in a vein for blood work, are often overused in hospitals, researchers said. The more times blood is drawn, patients are more susceptible to anemia, which can lead to blood transfusions, longer hospital stays, higher charges and even death. Providers could save up to $700,000 a year as they reduce routine blood work, data show. "Routine daily laboratory testing of hospitalized patients reflects a wasteful clinical practice that threatens the value of healthcare," according to the study. Sioux Falls, S.D.-based Sanford Health recently formed a working group made up of a family physician, an internal medicine doctor, a clinical chemist, a quality specialist, a business and finance executive, and information technology experts who meet every two weeks to discuss how they can improve lab testing. They gather data to determine which tests have limited clinical value and ultimately share that information with physicians in an effort to change behavior, said Dr. Jody Thompson, medical director of the laboratory at Sanford Medical Center Broadway in Fargo, N.D.
Data show that the system overused the cardiac biomarker Troponin to treat myocardial infarction. Doctors were also at times using outdated medicine to treat the ailment, Thompson said. While physicians may initially resist change, it's hard to refute quality data, she said. "Our goal is to choose the right test, at the right time for the right patient," Thompson said. Mayo is teaming up with the National Decision Support Company to develop CareSelect Lab, a platform available through providers' EHRs that guides physicians on what tests to use. It provides real-time data on available tests and outcomes, gaps in care and overall utilization. The software expands on CareSelect Imaging tools that more than 250 health systems, including Mayo, use for radiology testing. Researchers recommended showing physicians their ordering patterns as well as their peers' lab test usage to determine best practices. They also recommended enabling EHRs to deter or limit clinicians from repeating laboratory tests. Physicians should know the potential adverse effects of repetitive testing and that fewer laboratory tests does not translate to worse treatment, they said. But reducing unnecessary lab testing is often low on the totem pole, falling short to issues like satisfying quality metrics under the Merit-based Incentive Payment System, Hanson said, adding that medical school students receive little training on appropriate utilization of lab tests. "When we talk to other hospitals and health systems around the country, it's not an issue of not wanting to do it or being capable, it's that they don't have the time or resources," he said. Education alone will not produce change, Hanson said. Peer-reviewed and benchmarked data combined with ongoing education and new technology will yield the best results, he said. "We have created an environment where people pay attention to all kinds of appropriate test ordering," Hanson said. "It has set the tone for how we use our test resources to move from a fee-for-service to value-based environment."